Can’t seem to get your AC to work? Here are five common reasons for a broken air conditioner and the best way to replace it. Air conditioning is essential during the hot summer months. In Dubai, the average temperatures can reach up to 96 degrees in the summertime. Are you concerned about your broken air conditioner as a first-time homeowner? Keep reading to learn more about why your air conditioner continues to break. One common problem that causes your air conditioner to break down is a clogged filter. Your HVAC filters need to be changed out frequently in order to keep your air conditioning unit functioning all day long. The reason why these filters are so important is that they collect dust and make sure debris stay out of the HVAC cycle. Remove the panel and clean off the coils. Clogs will be detrimental to your air conditioning system and you should check to see if the filters are properly working. Another cause of a broken air conditioner relates to the thermostat. Set your thermostat to the right temperature to test for malfunctioning. Your air conditioner needs to be set to “cool” to begin working again. If you still experience problems with your air conditioning unit because of the thermostat, make sure to change out the batteries, too. Sometimes your thermostat goes bad if it’s been a few years since you’ve changed it out. You may need to invest in a brand new thermostat to fix this issue. Yet another cause for a broken air conditioner is a dirty condenser. The condenser is the unit that lives right outside your home. The compressor is something you need to keep an eye on for problems. To keep your unit working, make sure to clean out the condenser fins. Once you clean out the condenser fins, airflow should be restored to your air conditioner. If you still experience issues, you may need to contact an air conditioning expert to help you out. If you hear an unsettling rattling noise every time you start up your AC unit, you may need to investigate the issue. It could be a loose screw that needs tightening, or it could mean you need to buy a new fan motor. 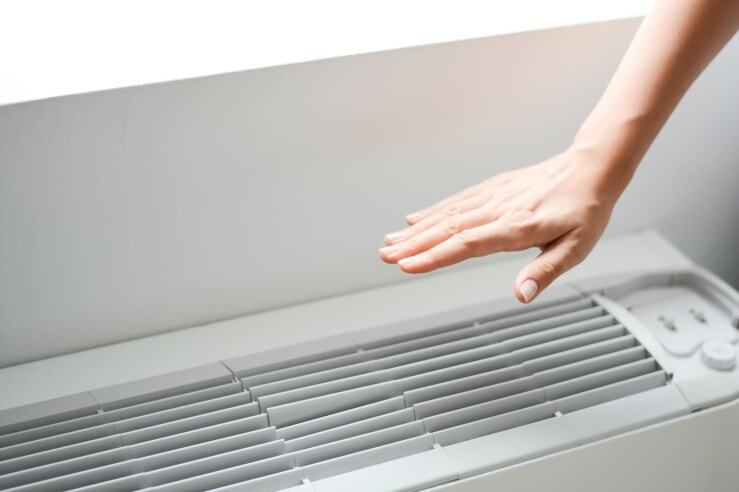 If you experience an AC unit that completely refuses to turn on, it may be due to a compressor burn-out. When the compressor is unable to kick on, then your entire unit will require replacement. If your AC unit is over eight years old then you should replace it as soon as possible. It will cost you anywhere between $600-$2,000 to replace your unit. We have experts ready to assist you with handyman services to examine your AC unit. If you want to learn more about common household problems, feel free to check out our detailed blog articles.